This is my new theme Macmur. 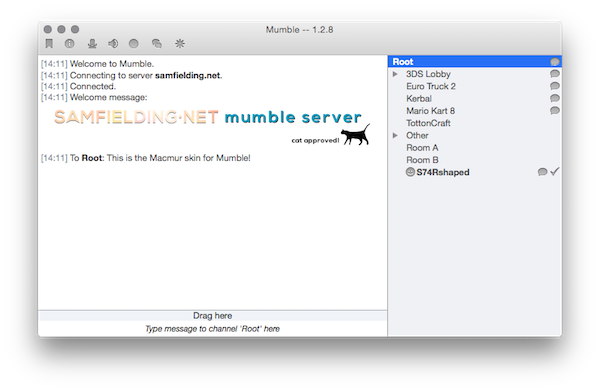 Designed to make mumble feel more like a standard OS X app. Once applied you may need to restart mumble for the skin to work properly. Added the theme to the skins page in the wiki, see http://wiki.mumble.info/wiki/Skins. Is there a license for the skin/icons/...? License states it is free for personal and professional use.